Malpractice claims related to the chief complaint of chest pain continue to plague clinicians. Foremost among these claims is the allegation of “missed MI,” which has now been expanded to include missed unstable angina as well as missed actual myocardial infarction. Although the evaluation of the adult with chest pain is fraught with many pitfalls, one of the most glaring yet avoidable errors is the reliance upon “bedside maneuvers” to exclude the diagnosis of coronary etiology. More than any others, the use of two classic “bedside maneuvers” tends to mislead practitioners and can lead to chest pain malpractice claims. The first is the GI cocktail; the second is the elicitation of chest wall tenderness. These two bad actors alone are to blame for dozens, if not hundreds, of malpractice suits in emergency medicine across the nation. Let’s expose each of these sinister characters in turn. A 47-year-old man enters an emergency department with chest pain and is given a mixture of liquid antacid, viscous lidocaine, and an antispasmodic; he was discharged “feeling better.” He collapses in cardiac arrest at home and dies. 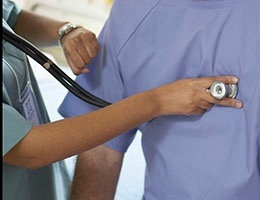 During the malpractice trial, expert witnesses were critical of the emergency physician for not performing an ECG, for not obtaining cardiac enzymes, and for allowing the results of the GI cocktail to “guide his decision-making.” The jury awarded $1 million to the surviving spouse in a verdict against the ED physician. Before 1912 when Dr. James Herrick first described the syndrome of coronary thrombosis, thousands of people who died while vomiting and clutching their chests had their cause of death listed as “acute indigestion.” Nobody dies of indigestion; these were all acute coronary syndromes! There is considerable overlap in the symptoms produced by gastrointestinal and coronary diseases. Patients who complain of pressure, burning, or “indigestion” either in the chest or abdomen certainly might have GI disease, but it is incumbent on the acute care provider to consider and rule out an acute coronary syndrome. Relief of chest or abdominal pain following administration of the “Green Slime” cocktail is frequently and mistakenly misinterpreted by physicians as confirming a diagnosis of esophagitis, thus ruling out cardiac ischemia. The response to a GI cocktail is simply not a sensitive or specific indicator of GI disease or coronary ischemia. The use of a GI cocktail as a diagnostic test to differentiate between gastrointestinal and cardiac causes of a patient’s symptoms is inappropriate because it frequently leads to erroneous conclusions. A surefire recipe for disaster is to discharge a patient with chest pain after administering a GI cocktail without ruling out an acute coronary syndrome. Before sending an adult patient home with the diagnosis of gastritis, gastroenteritis, GERD or just plain “vomiting,” stop and ask yourself if this patient could be having coronary ischemia and needs an ECG and further evaluation. Join “GI Cocktail Users Anonymous” to kick the bad habit of relying on this concoction to tell you anything useful during your evaluation of adult patients with chest and/or upper abdominal pain. You are evaluating a 48-year-old man with dull central chest pain. You feel that although he is clinically stable and the initial ECG is normal, myocardial ischemia ought to be ruled out. He is a busy and inpatient man. On examination, you elicit chest wall tenderness. You wonder if this sign is sufficiently reliable to allow the exclusion of an acute coronary syndrome. Using chest wall tenderness as an independent rule-out strategy in patients with chest pain would lead to an unacceptably high rate of missed MIs. Unless the physical exam shows a large Gila Monster attached by its teeth to the patient’s sternum, it is unwise to conclude that the presence of chest wall tenderness alone will reliably exclude coronary ischemia. Neither the response to a GI cocktail nor the presence of chest wall tenderness provide reliable data to rule out coronary ischemia in patients with chest pain. Many malpractice cases result (and are lost) from the use of these dangerous “Bedside Maneuvers.” Clinicians would do best to avoid following the misleading melodies of these Pied Pipers.